See you tomorrow Portugal! So long Macau! Hello y’all! Or should I say Nǐ hǎo? As I told you in my last post, I’ve been in Macau for the past month. In what comes to entertainment, Macau is mostly known for having casinos and more casinos, together with the World Heritage historical centre and the Formula 3 Grand Prix. However, from time to time, there are some special activities to entertain tourists and locals. 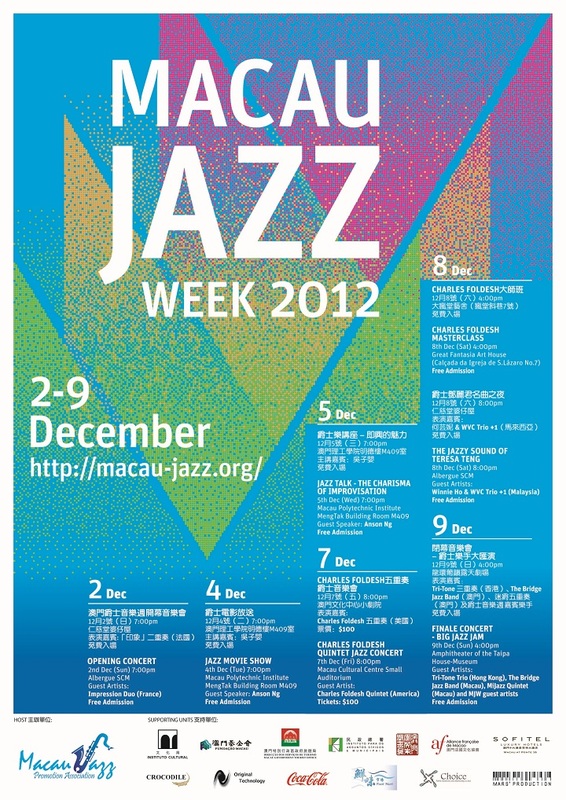 This past week was fertile with such activities, with the Macau Jazz Week taking place. Both international and local musicians were invited to participate in several concerts and workshops. Being a music fan I had to take the opportunity to enjoy some fine jazz in a nice setting, so I went to the grand finale concert, which included a jam session with seasoned musicians and young local talents. 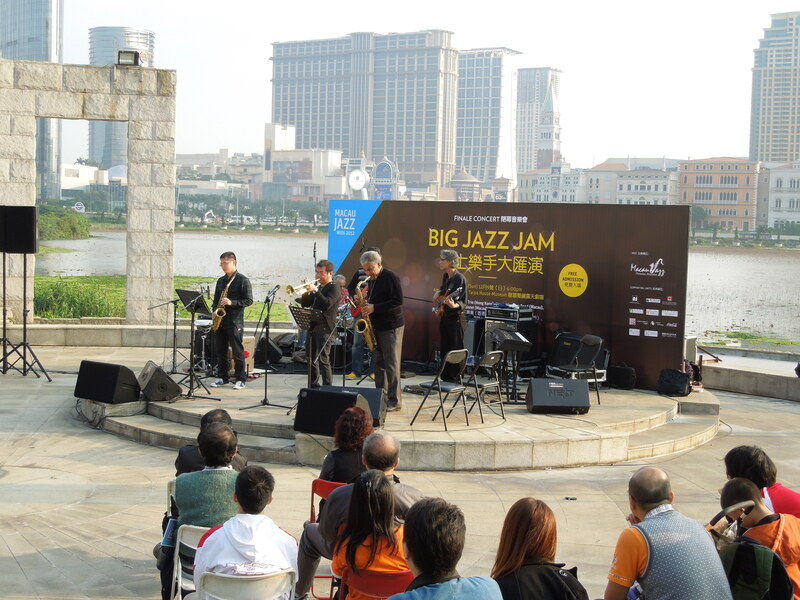 The gig was opened by the Bridge Jazz band, composed by veteran macanese musicians, with a very nice feel. They were followed by another macanese band, this time with young guys. All in all, it was a very enjoyable evening in a beautiful setting in this side of the world. Hope you liked it as much as I did! 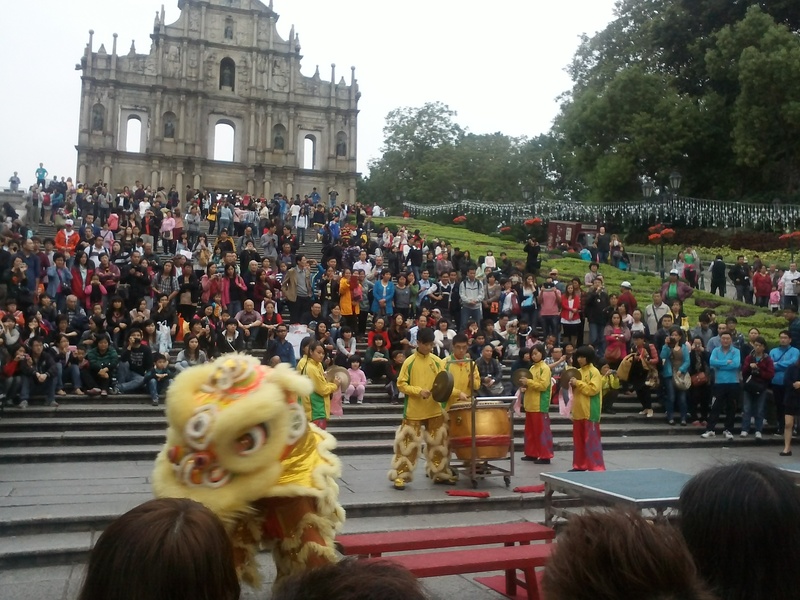 The title of this post has two meanings: I’m back in the blog and I’m back in Macau! Sorry for being absent for such a long time, but Nuno did a pretty good job keeping the boat afloat. Thanks for that, mate! In my first time here I met a group of very nice people that made my stay a lot of fun. One of them has become, or so I gather, our first polish blog follower and has since then sent me a handful of musical suggestions that I promised to post here. So here’s a playlist with the nice songs Olga sent me – it ranges from Sweden to Czech Republic. Enjoy!